Colorado lost treasure sites are listed on this page. How often have you dreamed of locating a treasure that was buried by an outlaw, a gangster, or some prospector? Treasures of different kinds have been located by individuals from all walks of life. Some of the treasures were being searched for, and some were found by pure luck. However, you can increase your odds of finding one by researching the treasure you are looking for. I have provided you with a few brief stories of treasures rumored to be hidden in Colorado. And remember, these stories are just rumors. Research this information further. Never rely on one piece of information about a treasure story you are researching. Use multiple research tools. It’s a good idea to have a metal detector to help you in your search for buried treasure. 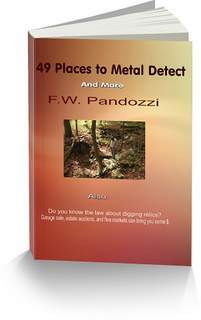 If you do not have a metal detector, and you are thinking of purchasing one, The best advise I can give you is this. Buy an inexpensive model, read the Operation Manual that comes with your detector, then practice using it. Dig lots of stuff and get to know how your detector performs. If you do that, you will become adept at finding all kinds of goodies. 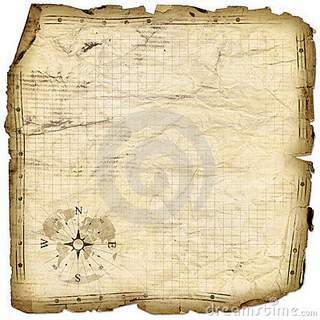 Good luck in your search for Colorado lost treasure. Georgetown – Silver Plume , located on I-70 this area produced vast amounts of gold and silver from 1859 until the early 1930’s. Many remnants of deserted buildings remain there. Leadville - located on U.S. 24 and State Rte 91. A large gold discovery in 1860 happened here. In later year’s it became a large silver producing town. The town was abandoned in the early 1900’s. There are many remaining structures. The Reynolds Cache - somewhere in Hardcart Gulch, in Hall Valley, is an alleged treasure of buried gold. The gold was stolen by bandits who held up stagecoaches near the South Park mining camp. The Will Bunch Gang - supposedly buried $50,000 in gold nuggets and coins near Brown’s Hole. The Butch Cassidy Gang - may have buried more than $100,000 in bank money from robberies in a cave near Wild Mountain. The Spanish Princess Treasure - located near Mt. Princeton may be a cache of gold ore and coins worth approx $100,000. Understand the law before searching for Colorado lost treasure. Colorado lost treasures may be located in ghost towns.